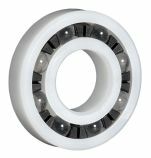 A Plastic race radial ball bearing fitted with borosilicate glass balls is the only type of ball bearing used in an MRI patient table application. It is chosen for its non-metallic nature thereby being non-magnetic. 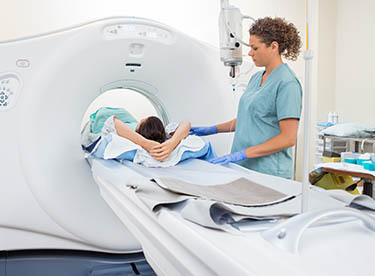 This is required in the MRI application because the imaging area must remain metal free. 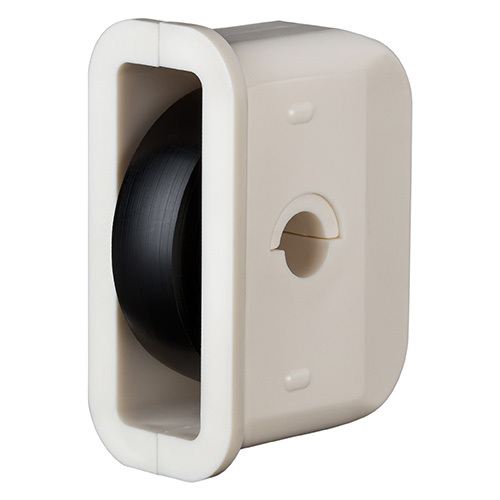 Critical Design features: POM, PBT, or UHMW-PE plastic races and cage fitted with borosilicate balls. Bearing construction features True Race Technology™ ball grooves for reduced friction and improved performance. 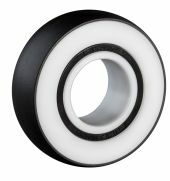 UHMW-PE is used for the outer race wheel to reduce noise when the bearing wheel runs on a hard track surface. No Lube required: Its ability to run without lubrication is a benefit when cleanliness is a priority. Integration & assemblies: KMS can design a custom housing to provide a complete assembly. 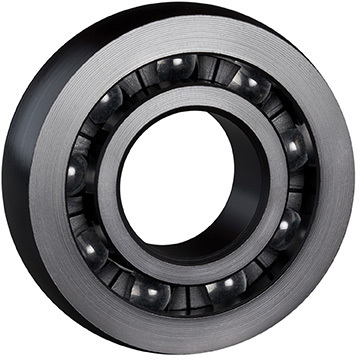 Spherical profiles can be designed to the outer race of the bearing to create an “all in one” bearing wheel.